This will be the last issue of PhysioLINK before we break for the summer. I have really enjoyed my first academic year as Chair of the Department of Physiology. We’ve had a brilliant year with many outstanding achievements. Next academic year promises to be another exciting time. I wish you all a great summer vacation. Please take time to relax and reflect. We will of course continue to keep you updated on important matters over the summer months. PhysioLINK will return in September. Congratulations to Drs. 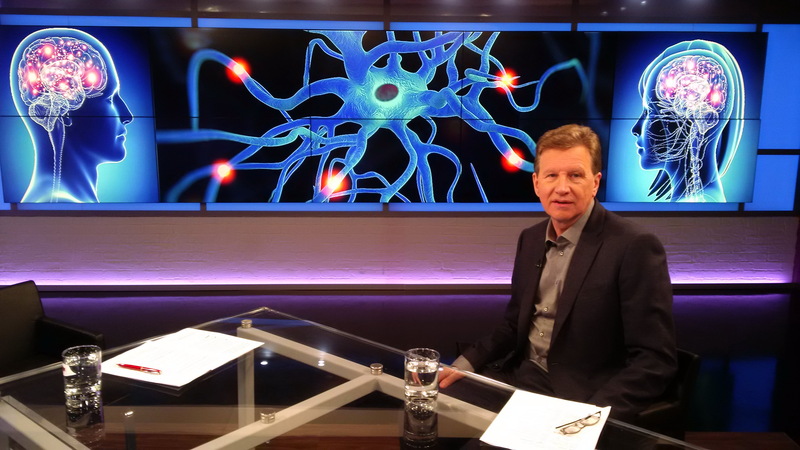 Graham Collingridge, Zhengping Jia, Min Zhuo and collaborators (Peter St. George Hyslop, Kenichi Okamoto) on their recent award of a $2M Brain Canada Grant entitled “Novel approaches to understand the role of cAMP and co-signaling cascades in synaptic plasticity and brain disorders“. 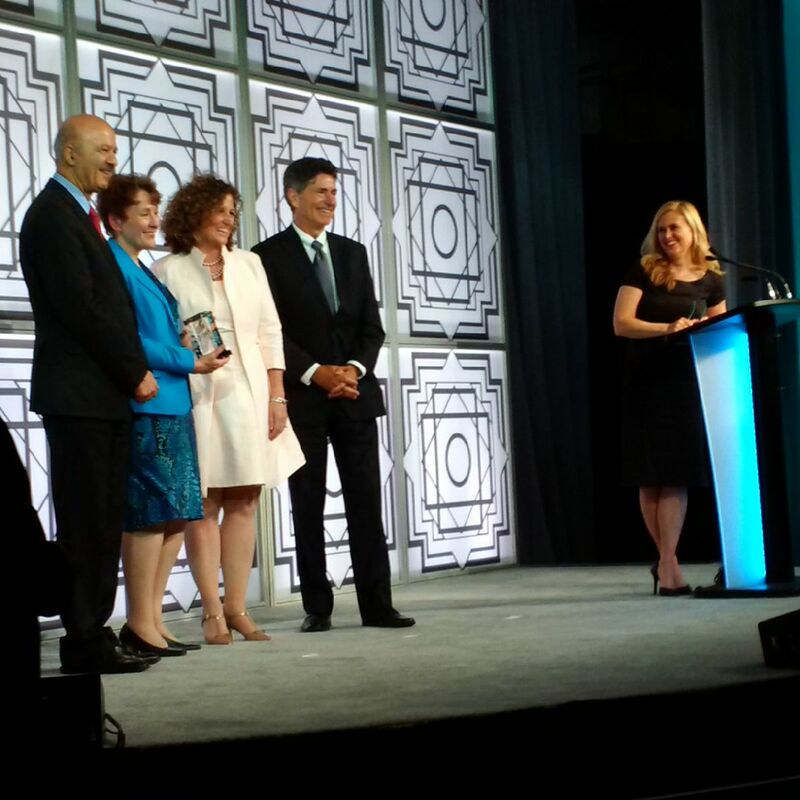 Congratulations to Dr Denise Belsham on her Leaders Circle Award presented on June 16, 2016 by Dr Reza Moridi, Ontario Minister of Research and Innovation at a Gala Event held at the Metro Toronto Convention Centre. The award recognizes Dr Belsham's efforts to bring the International Congress of Neuroendocrinology 2018 to Toronto. Dr Scott Heximer was also recognized for bringing the 2018 International Symposium on Atherosclerosis to Toronto, but he could not attend the event. The Leaders Circle are a group of "Innovators, Thinkers, and Leaders" who promote Toronto to their respective fields of expertise, and consists of over 200 members in a variety of disciplines. Photo L-R: Dr Reza Moridi, Ontario Minister of Research and Innovation, Johanne Belanger, President and CEO, Toronto Tourism, Dr Denise Belsham, Barry Smith, President and CEO, Metro Toronto Convention Centre, and Jennifer Valentine, TV personality and MC. In the last issue of PhysioLINK, we announced that Drs. Anthony Gramolini and Shuzo Sugita will be promoted to Full Professor effective July 1, 2016. We would like to take this opportunity to congratulate both again on this outstanding milestone in their careers, and showcase their research below. Professor Anthony Gramolini is a Full Professor (effective July 1) in the University of Toronto's Department of Physiology and scientist at the Toronto General Research Institute. He runs a heart research lab with a primary interest in investigating the cellular mechanisms involved in the regulation of Ca2+ cycling at the level of sarcoplasmic reticulum and its role in cardiac disease. He employs cell and molecular biology, molecular imaging, and mass spectrometry approaches to investigate these problems. Heart diseases represent a significant cause of death worldwide. Innovative preventative and therapeutic measures are needed to deal with this global burden. Accordingly, we require a more complete understanding of the molecular events involved in these diseases. 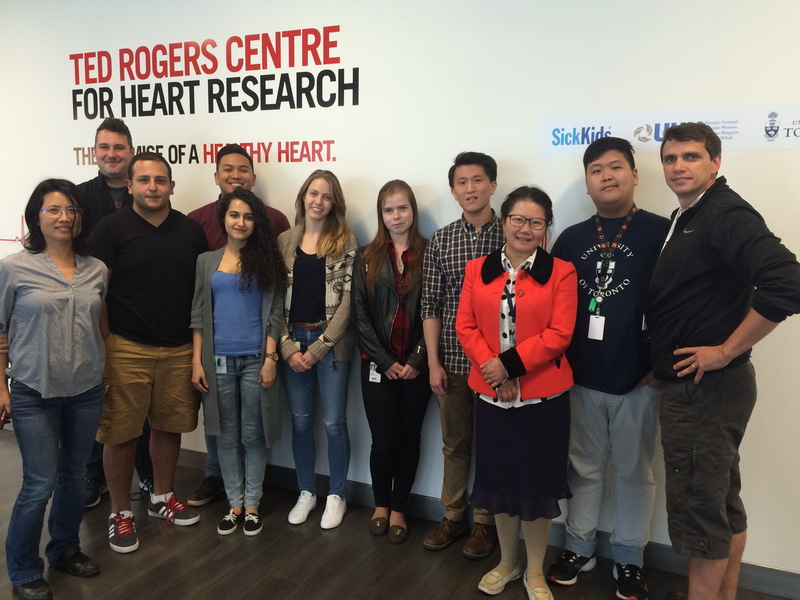 The Gramolini lab’s ongoing interests are to apply system-based approaches during cardiac disease and heart failure, whereby mouse and human ventricular samples are subjected to detailed proteomic analysis. Comprehensive analysis of adult mouse ventricular lysates, fetal cultured neonatal ventricular myocytes, cultured human ventricular myocytes, cultured human endothelial cells, and cultured human smooth muscle cells are being assessed by various proteomic methods to determine proteomic and phenotypic environments. Parallel bioinformatics, utilizing gene ontology, gene set enrichment, transmembrane helix prediction algorithms, phenotype ontology, publicly available tissue microarrays, and publically available proteomic datasets, allow us to refine further the human cardiomyocyte proteome. Subsequent lentiviral- and adeno-associated viral functional analysis pipelines of action potential measurements, Ca2+ transient recordings, contractility assays and in vivo mouse cardiac assessments, together with zebrafish knockdown models have been developed to assess functional significance of novel cardiac enriched proteins in mouse and human cardiomyocytes; while careful diagnostic screening of blood samples has identified several promising blood based markers of cardiac disease. Professor Shuzo Sugita is a Full Professor (effective July 1) in the University of Toronto's Department of Physiology and a Senior Scientist, Division of Fundamental Neurobiology at the Toronto Western Research Institute. 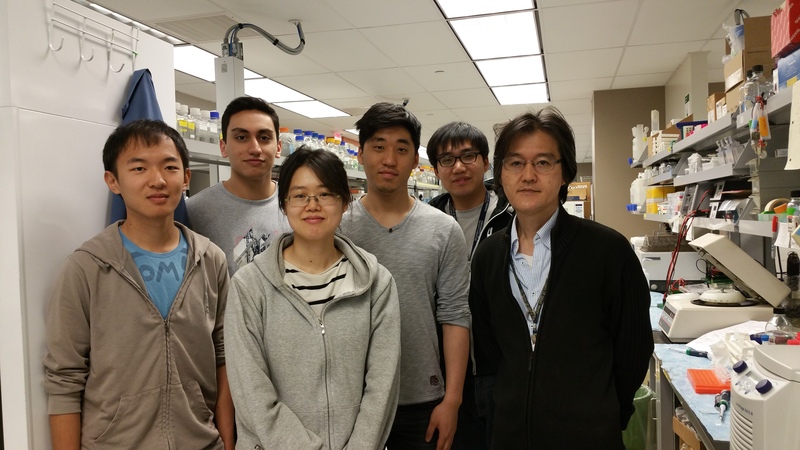 The primary interest of Professor Sugita’s lab is to understand mechanisms of neuronal and immune cell exocytosis and their roles in physiology of health and disease. Toward this end, we use PC12 cells and RBL-2H3 cells as cellular models for neuroendocrine cells and immune cells, respectively, and use C. elegans and mice as in vivo model systems. We are currently conducting the following research projects. Professor Sugita’s first project is to elucidate the structural determinants of Munc18-1 function in neurotransmitter exocytosis and neuroprotection as well as to examine whether its malfunction can cause epilepsy through imbalance in neurotransmission. The SNARE protein complex, which consists of syntaxin, SNAP-25, and synaptobrevin, plays a central role in neurotransmitter exocytosis. These proteins are regulated by their interacting proteins such as Munc18 and Munc13. Clinically, mutation of Munc18-1 is a major genetic cause for a wide spectrum of early onset epileptic encephalopathy (EOEE). He and others have revealed that biochemical interactions between Munc18 and the SNARE proteins are complicated. They aim to determine the roles of these interactions in vivo and in vitro by performing the rescue of C. elegans unc-18 null mutants as well as cultured neurons isolated from Munc18-1 knockout (KO) mice with Munc18-1 mutants which exhibit various interactions with the SNARE proteins. In addition to its essential role in exocytosis, Munc18-1 plays an important role in protecting neurons from degeneration as KO of this protein causes massive neurodegeneration in mice. They hypothesize that the neuroprotective role of Munc18-1 results from its ability to support neurotransmission and/or its ability to regulate the expression level and localization of syntaxin-1 in these degenerative neurons. To test these hypotheses, they will perform the rescue of Munc18-1 KO neurons and/or brains with Munc18-1 mutants that vary in their ability to support exocytosis and syntaxin-1 level. They are also analyzing the seizure susceptibility of Munc18-1 heterozygous KO mice to elucidate potential mechanisms through a collaboration. The second project is to determine the roles of syntaxin-1A, syntaxin-1B, sytaxin-4, and SNAP-23 in neurotransmission, and to examine whether their malfunction can cause epilepsy. To elucidate the roles of syntaxin isoforms in vivo, we have generated global and brain specific KO of syntaxin-1A, 1B, and 4. They are analyzing synaptic functions and dysfunctions of these mice. The third project is to elucidate the molecular mechanisms of Munc13-4, syntaxins and Munc18-2 in immune cell exocytosis. Munc13-4, syntaxin-11 and Munc18-2 were found to be causal genes of type 3, type 4 and type 5 Familial Hemophagocytic Lymphohistiocytosis (FHL3, 4, 5), respectively. FHL is a genetic-based heterogeneous autosomal recessive immune disorder characterized by the occurrence of uncontrolled activation of lymphocytes and macrophages infiltrating multiple organs. Importantly, immune cells isolated from patients with FHL3, 4, or 5 exhibited impaired cytotoxic granule exocytosis. Professor Sugita aims to elucidate structural determinants of Munc13-4, syntaxins and Munc18-2 in exocytosis from immune cells and analyze the real-time exocytosis using total internal reflection fluorescence microscopy.